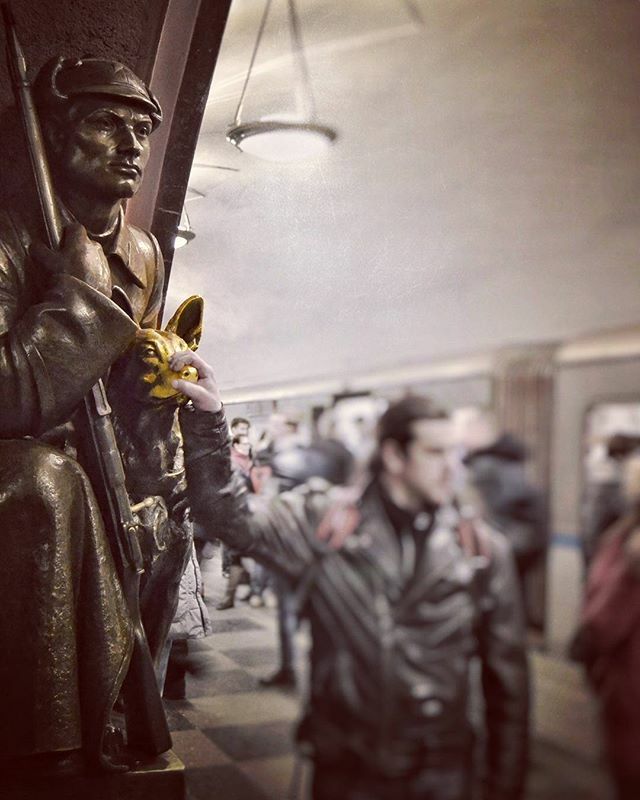 76 bronze statues depicting people from soviet Russia decorate one of the most popular Moscow metro stations. Touching specific parts of some of the statues is considered to bring good luck and make wishes come true. Thousands of people every day touch this dog's nose to have good luck for the rest of their day. This behavior have made parts of the statues to be polished and obtained a bright gold yellow color. Tagged allmsk, amazingview, beautifulldestinations, discover, explore, exploremore, hd_moscow, ilovemsk, metro, Moscow, moscowonline, moscow_gram, moscow_ig, msconline, msk, photorussia, roundtheworld, russianexplorers, topmoscowphoto, travel, travelgram, view, vsco, wanderlust, москва, мск.